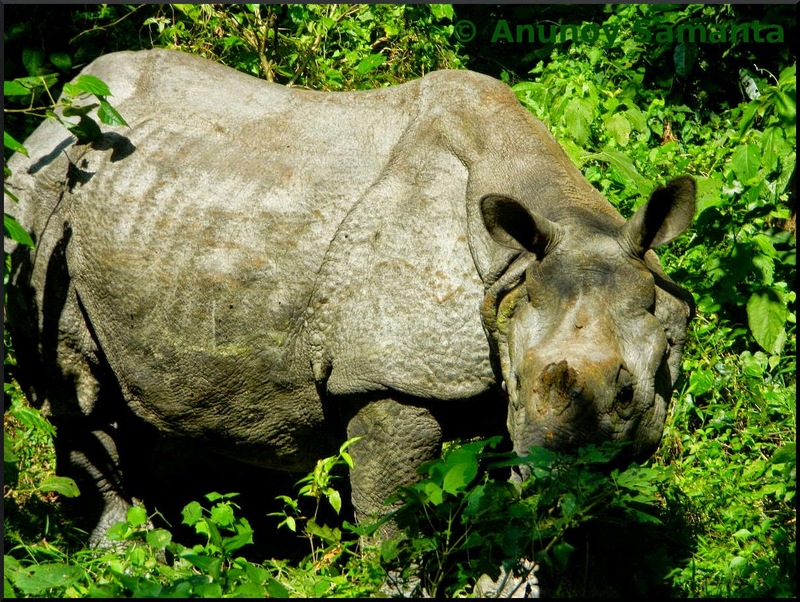 Indian one-horned rhinoceros is the center of attraction in Jaldapara, a national park on the bank of Torsa River, located at the green foothills of the Eastern Himalayas in Alipurduar district of West Bengal. Rhino's horn are made up of pure keratin (almost similar to your nails) and grows up to an average length of 10 inches! It's the horn that kills this animal. Like ivory, horn trading is illegal in India but who cares for the law? Law and human greed are blind anyway. Poachers have successfully reduced the total population of Indian one-horned rhino, also known as greater one-horned rhinoceros to a meager number of 2575, of which 108 were recorded inhabitants of Jaldapara National Park in 2007. So, in the photo above, the fifth largest land animal is grunting "Give back my horn, or I'll track you, find you and kill you"... Horn traders, run for your filthy lives now! sometimes, you want to say, WHY? But how do they take out the horn without killing the animal? I mean, I don't understand how this works! I see the ribs of the poor beast.. They don't feed it properly do they ?? It seems the poor guys is not having enough food for months.. I am not so sure Liam Neeson would take this lightly. He would probably try to do as you said..